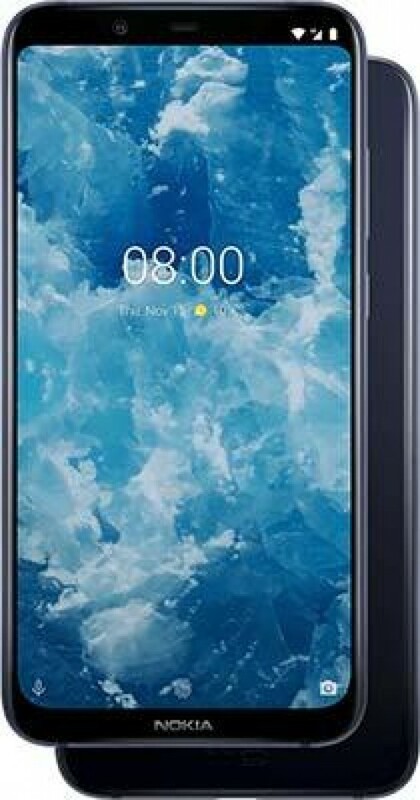 London, UK, 5th December 2018 - HMD Global, the home of Nokia phones, today announces the Nokia 8.1, the newest addition to its value flagship range. As with other Nokia smartphones in the same category, including the award-winning Nokia 7 plus, the Nokia 8.1 punches above its weight with extraordinary imaging achieved by its highly sensitive, industry-leading camera sensor, ZEISS Optics and Optical Image Stabilization (OIS). Proprietary PureDisplay screen technology with HDR 10 support along with highly accurate colour reproduction delivers enhanced viewing experiences even in bright sunlight, while the chipset ensures smooth performance for up to two days[i] per charge. All of this comes in a contemporary package with the precise craftsmanship expected from a Nokia smartphone. Running the latest Android software, Android 9 Pie, the Nokia 8.1 delivers the best Android experiences with the latest innovations right out of the box. With smartphones rapidly becoming the default device for watching video, you need a display tailored to the content you’re enjoying in the environment you’re in. The Nokia 8.1 is the second Nokia smartphone to come with PureDisplay screen technology for an enhanced viewing experience. Visuals are taken to another level with HDR 10 delivering higher contrast, great clarity, and over a billion individual colours to ensure images remain accurate whether you’re in a dark room or bright sunlight. Playing games or watching video, your display will deliver the best possible experience. The Nokia 3.1 Plus, is a smartphone which goes big on content experiences thanks to its 6-inch HD+ display and a weekend busting two-day battery life. It is the most affordable Nokia smartphone with a dual-camera and is the latest device to join the Android One family, delivering the best of Google with monthly security patches. It delivers great viewing experiences, squeezing in more of your favourite newsfeeds, apps and videos making it ideal for content streams and social media and is the phone to effortlessly get you through your Netflix binges without needing a top-up. The Nokia 5.1 Plus delivers great gaming performance and AI imaging features in an accessible, stylish package. Combined with its contemporary design and quality build, the Nokia 5.1 Plus is one of the most reasonably priced smartphones powered by the utmost advanced MediaTek chipset to date, the MediaTek Helio P60, allowing users to experience the latest games and apps to their fullest. The Nokia 8.1 is available in three colour combinations, Blue/Silver, Steel/Copper, Iron/Steel, from 14th January 2019 and will retail for an average price of £379.99 in a range of UK retailers and e-tailers. (i) The two-day battery testing was conducted using a real life usage test by HMD Global. The test included active usage of a device for 5 hours per day with a new battery. Usage included e.g. gaming, video streaming, calling, sending sms, browsing and using apps (such as social media, news, navigation and music). The test was conducted with normal device settings in a lit indoor environment. The device was left on standby overnight. (ii) Free storage at high quality, requires Google account and internet connection.